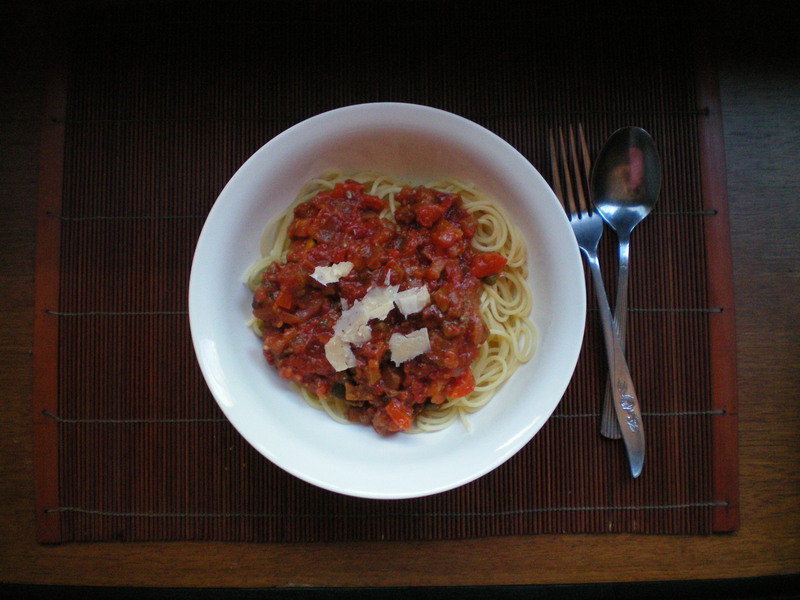 Using pantry staples such as carrots, canned tomatoes, and mince, the Australian Women’s Weekly’s Smart Food trots out predictable fare: soups, pastas, stews, pies, and the occasional curry or stir fry. A North African pork and cabbage rolls recipe is the only oasis in a culinary dessert, and even then it requires mince and canned tomatoes. There’s logic behind the lack of imagination. By showing what can be done with a restrictive list of ingredients, Smart Food reduces waste in the kitchen, potentially saving households $1,036 each year*. Unfortunately, such a narrow focus makes thrifty cooks feel like they’re on a low-fat, low-sugar, egg-and-dairy-free diet**, especially when desserts have been excised from the Smart Food menu. 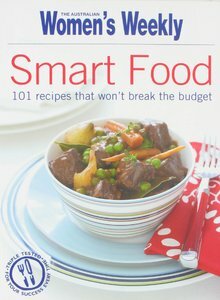 I attempted the Smart Food regime, spending a fortnight cooking meals by the book. Individually, recipes like the spinach and chicken lasagna, the orecchiette boscaiola, and the spaghetti siciliana tasted wunderbar; they were easy to assemble and worked well as leftovers. By the end of it, however, the Tuscan bean soup sat untouched in the fridge whilst Cheap Geek and I ate takeaways on the sly. Like with most diets, moderation is the key to success with this book, so supplement with the occasional indulgence. True, true. And the leftover stir fry/rice makes a mean rice paper roll the next day! There’s some great non-Anglo recipes out there that are very budget/freezer friendly like chilli con carne or Chinese dumplings. I’m surprised that they don’t appear in a lot of budget-focused cookbooks.